Nat O’Reilly’s tribute to Liam Davison was first published on 21July 2014 on the Association for the Study of Australian Literature website (http://asaliterature.com/?p=1249). We have republished the tribute in full. Award-winning Victorian writer Liam Davison (1957-2014) and his wife Frankie were passengers aboard Malaysia Airlines flight 17, which was shot down over the Ukraine near the Russian border on July 17th. The Davisons were returning home to Melbourne from Europe. Liam Davison was born in Melbourne and educated at St. Bede’s College and Melbourne Teacher’s College. He lived with his family at Mt. Eliza on the Mornington Peninsula, which features prominently in his fiction. Davison is the author of five novels, The Velodrome (1988), Soundings (1993), The White Woman (1994), The Betrayal (1999) and Florilegium (2001); two collections of short fiction, The Shipwreck Party (1988) and Collected Stories (2001); and The Spirit of Rural Australia (1999), a collaboration with photographer Jim Conquest. 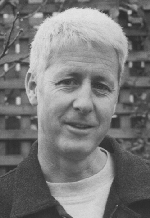 In 1983, Davison won The Canberra Times National Short Story Competition Pat Rappolt Prize for Writers Under 25, and his first novel, The Velodrome, was shortlisted for the Australian/Vogel award in 1987. Soundings won the National Book Council Banjo Award for Fiction in 1993, while Soundings and The White Woman were shortlisted for the Victorian Premier’s Award and The Age Book of the Year Award. Davison won the James Joyce Foundation Suspended Sentence Award in 1999. He was also the recipient of grants from the Australia Council and a Marten Bequest Travelling Scholarship. Davison was one of Australia’s finest and most innovative exponents of short fiction. His brilliant, innovative short stories were frequently anthologized and included in annual “best of” collections; his work appeared in The Best Australian Stories anthologies in 1999, 2001, 2003, 2012, 2011 and 2013. Davison combined the use of local and regional settings, such as outer suburbia, the semi-rural, and the landscapes of the Mornington Peninsula, Gippsland and Western Victoria, with experimental, postmodern fictional techniques that incorporated elements of magic realism (The Shipwreck Party) and a questioning and rewriting of historical narratives (The White Woman and Soundings). Davison was also a perceptive critic and prolific reviewer, writing more than eighty book reviews for publications including The Age, The Sydney Morning Herald, The Australian, Australian Book Review and Overland. In addition to writing, Davison taught English, history and creative writing at secondary schools and colleges, including the Chisholm TAFE Institute in Frankston. Frankie Davison, a literature, history and humanities teacher, taught at Toorak College in Mt. Eliza for twenty-eight years. The Davisons are survived by their son Sam and daughter Milly. The tragic death of Liam Davison is a great loss to the Australian literary community. Previous: We are back from the depths of an “unscheduled internet outage”- or at least we hope we are. Next: Rules? What Rules! Book Reviewers Under Attack! I first corresponded with Liam while helping Barrie Reid with Overland, and later when John McLaren was editor. I reviewed Liam’s novel, The White Woman, in Overland in 1995. Liam and I both won the James Joyce Suspended Sentence Award, though five years apart. He was hugely talented, particularly in short prose fiction. Although true to the traditions he respected, Liam was an effortless innovator, bringing a range of creative approaches into play: faultlessly matched to subject matter. It is tragic that he has been cut down so brutally. One’s thoughts go out to his family, friends and those who gained pleasure from his writing.